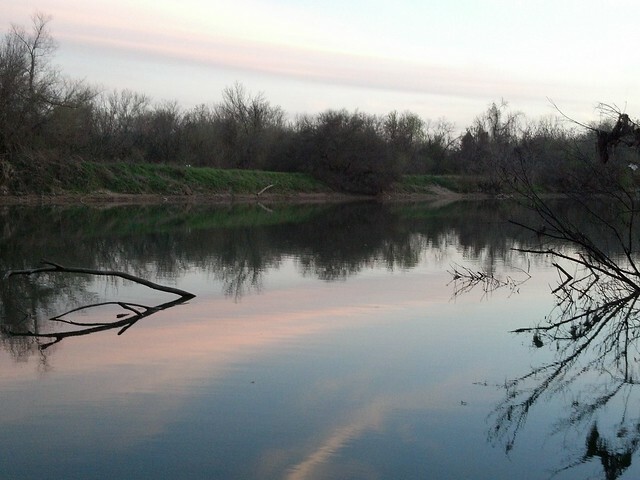 The river is a short walk from the house. Not far, but far enough that I can't see it and I often go a month or more without walking down there. In a way that's good, because it keeps me from taking it for granted. Each time I go down there, I'm always wonderfully surprised by how lovely it is. What a beautiful shot, with the sunset reflected in it!